My most recommended and much-loved skincare product of 2018 was Nu Skin’s 180° Cell Renewal Fluid. That little gem used alongside their 180° Anti-Aging Skin Therapy System made my skin look 10 years younger. It was a face changer! I didn’t think I could find anything that remotely came close to how my skin looked and felt, but lo and behold I did. Meet Nu Skin’s ageLOC anti-ageing Transformation Kit, their most advanced anti-aging system ever. It consists of four powerful products that are designed to deliver a truly transformational experience. This advanced kit targets the multiple signs of ageing, helping restore and maintain your youthful visage, as well as protecting your skin from pollution and other environmental aggressors. It brings you all the fundamentals of a skin care regimen so you can appreciate a healthier and more luminous complexion. From their super luxurious packaging to the unique and stellar formula, you’ll want to treasure these products forever. I have found that each product works in synergy with one another, resulting in beautiful and healthy supple skin. Now, let us go a bit deeper and look at the contents. This kit contains: ageLOC Gentle Cleanse & Tone, ageLOC Future Serum, ageLOC Radiant Day with Sunscreen, and ageLOC Transforming Night. If you’re a two birds, one stone kind of person then this dual foaming cleanser is for you, as it combines cleansing and toning into a single step. It gently cleanses, purifies and hydrates the skin. 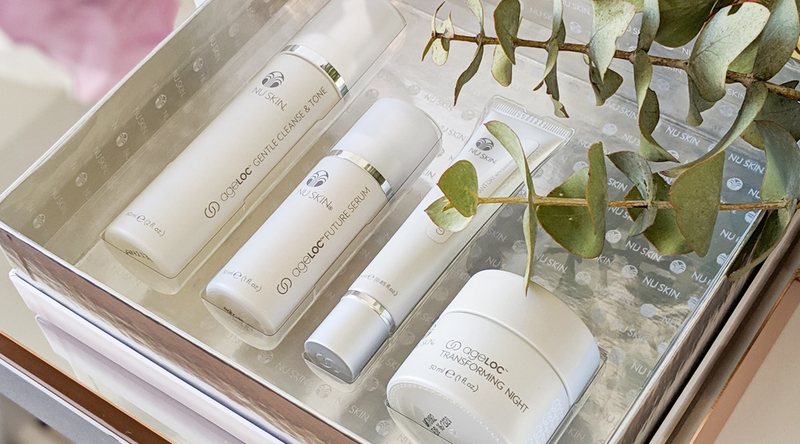 The effective and time-saving formula helps maintain your skin’s natural healthy pH and delivers the first infusion of ageLOC to the skin, targeting the sources of ageing while leaving skin feeling refreshed and youthful. No anti-aging skincare routine is complete without this powerful serum, it’s as simple as that! ageLOC Future Serum is the most advanced product in Nu Skin history as it contains the maximum concentration of ageLOC™ for the skin. Their multi-action superior formula works all day and night to address the benefits of many different anti-ageing products into a single product. My skin feels and looks perfectly radiant, I have recommended this product to my husband who is prone to rosacea outbreaks and is now enjoying it along with me. This daytime lightweight lotion sinks into my complexion for an instant burst of hydration. The age-fighting formula contains a special blend of ingredients that stimulate youthful cell turnover for smoother softer skin, helping dramatically reduce unwanted melanin production and the appearance of fine lines and wrinkles. It provides effective UVA/UVB protection reducing the risk of sun damage and early skin ageing. My skin feels amazing and pores appear smaller, this silky-textured moisturiser works beautifully to prep my skin for makeup. “I woke up like this” is what you’ll be saying once you have tried this rich anti-aging overnight cream. It has everything your skin needs to regenerate and rejuvenate while you sleep. This powerful nighttime moisturiser helps smooth out fine lines and makes my skin feel ever so silky. It works its magic while you are asleep fighting the ultimate sources of ageing. Featuring ultra-mild ingredients which mimic the skin’s own structure, working with the skin’s natural nighttime renewal process for deeply hydrated, reinvigorated, younger-looking skin. Which anti-aging skincare products do you swear by? Give me your recommendations in the comment section below. These products look amazing! Luxe anti-aging products are so nice! It is so nice to spoil yourself with luxe skincare goodies every once in a while. I am so in awe with these products, they’re brilliant. This range sounds so good! I’m always looking out for new anti-ageing skincare, thanks for the recommendation! Thank you for reading! I highly recommend this day cream, it has amazing anti-aging benefits with added spf. I am well impressed. The radiant day with sunscreen is calling my credit card!!! I want this in my life! You should definitely have it in your life. You won’t regret it! 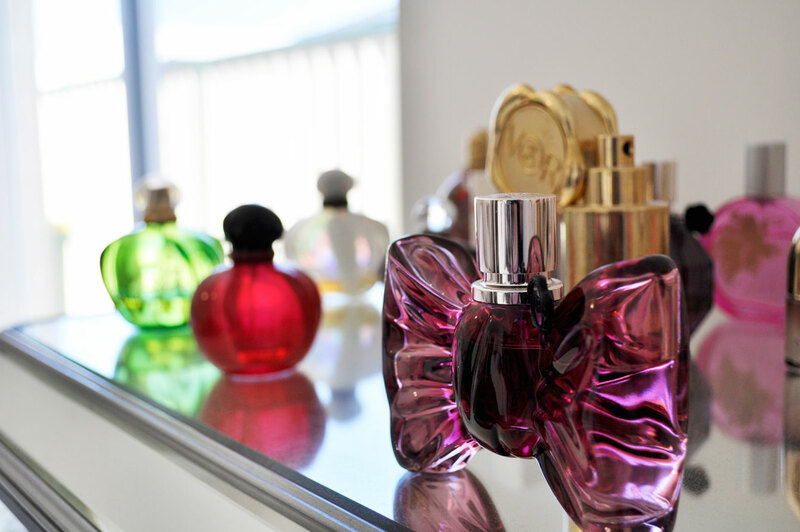 Ooo this range sounds so lovely! That serum has definitely joined my to try list. And I love that the day moisturiser has SPF too!! These products are so good! I love using them. Ooooh looks so fancy😍thanks for sharing! Love the packaging and didn’t even know you could use it for men too, that’s great! Looks like a great set! My goodness the price is intense! Glad they’re working for you.